Do you write your notes and drafts in a notebook or do you use a laptop? Do you have a stationery fetish? Is there a particular pen you to write with? I’ve written a few books now and I’ve always handwritten them. I used to pay someone to type up my drafts, but my husband kindly bought me the Dragon program. Now I can read my draft aloud while it’s being typed into my computer and edit as I go along. Bonus! I have two types of notebooks on the go at any one time. A4 size for manuscript drafts and an A5 one in my handbag. I always divide my A5 notebooks into the front and back. In the front, I have notes from sermons, conferences, or books I’ve read. In the back, I have what I call ‘inspiration jottings’. I must admit that I can often be sitting through a sermon, go off on a tangent of thought, and jot an idea in the back of my notebook for a blog or scene in a novel or just something that occurred to me. An A5 notebook and pen live in my handbag as a permanent fixture. Now, I don’t have to justify why I love notebooks so much, but here are seven reasons why I think the pen is mightier than the keyboard. 1. Writing with a pen brings both sensory and cognitive processes into play with each other. This fires the brain and helps creativity to flow. 2. This is not true for everyone, but my brain flows at a faster rate than my typing speed, whereas I can handwrite much faster. 3. Writing with a pen or pencil on a piece of paper is becoming an infrequent activity, yet despite this, many people still have a stationery fetish. Notebooks are so pretty now and can cost a lot of money if you go for designer styles, however, some of the large retail chain stores have excellent ones from about two dollars. 4. I like seeing all my notebooks lined up on my shelf. I have hundreds of them filled with my scribbles. I also buy them obsessively, so I probably have just as many empty notebooks lying around the house ready and waiting to be filled. It’s a history of notetaking that may not mean much to others but is a tangible reminder of my writing history. 5. I find that writing longhand I can enter a zone of comfort I find hard to achieve when sitting in front of a screen. I can take my notepads and pens everywhere I go; which means I can write anywhere I want, when I want. I can sit in a corner of a café unnoticed and write to my heart's content. 6. Writing by hand slows me down — in a good way. The old-school feeling of writing like Hemingway did in a café in Paris makes me savour the moments and enjoy the experience. 7. The pace of longhand and the scratch of pen on page reminds me that writing is a craft. Do you love writing in notebooks? Do you write your manuscript drafts in a notebook? Elaine realised she wanted to be a writer at ten years of age when the words flew off the page during a creative writing lesson. She studied English and Education at university and went on to spend many years as a high school English teacher teaching others how to write. In 2005, Elaine took the plunge and began writing full-time. Since then she has published five books and blogs for several sites, including Australasian Christian Writers, Christian Writers Downunder, and Kinwomen. Elaine’s passion is to write about real issues with a spiritual edge for those who linger on the fringes of faith. 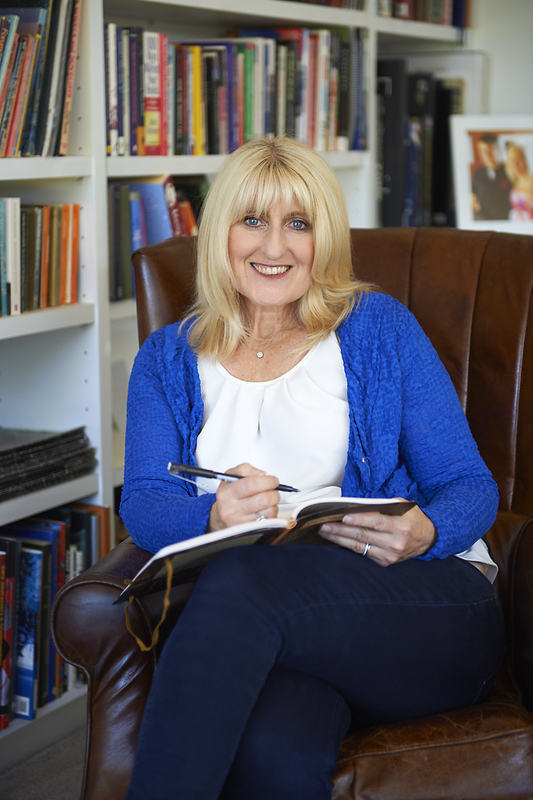 When she’s not travelling the world in search of quirky bookstores or attending writing retreats in exotic locations, she can be found in the Perth hills sitting in her library—writing, reading, mentoring writers, and hugging her golden retriever. 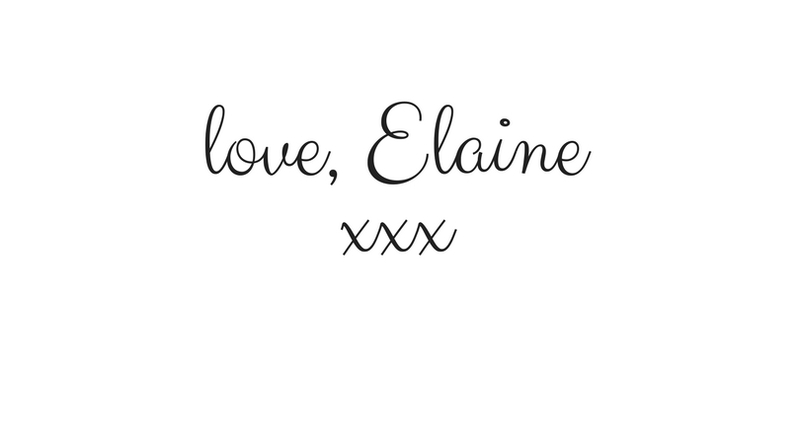 Hi Elaine. I love writing by hand - especially with a fountain pen - I have three. The best thing is the portability, especially great when travelling. From that, I find people become curious and ask what I’m writing. They love to hear about my novel, and often share their own life stories. I met one woman once who shared that she was given to her grandmother to raise as the only girl of 16 children. She was told she was ugly and would never marry. She did not look in a mirror until she was a grown woman. As I was writing of a damaged recluse, blamed for the death of her toddler brother and then overlooked by her mother, I gave her a lifelong mirror problem. I met an old man (maybe late 70s or more) on a bus trip who asked about my writing, then told me about himself. His family refused to even send him a card when his partner of 45 years died. I asked him why they didn’t like his wife. ‘Because I’m gay. I really miss him.’ He had tears, and I held his hand. Im so glad for sharing my cafe table at the lunch stop that day. And love how writing on the go gives us rich opportunities. Wow! I love your stories. If you'd been tapping away on a laptop you may not have had the same opportunity to share stories. I have a fountain pen, but it sits on my desk unused most of the time. I love the look of it!